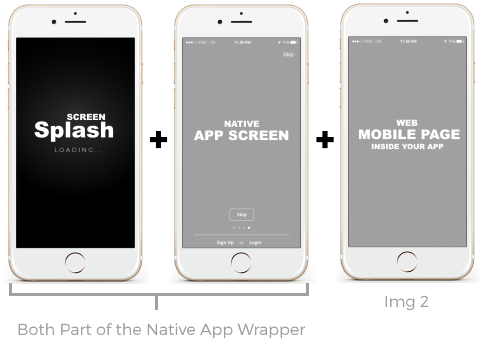 Wrap any existing responsive website in an ultra optimized Native App and get it in all the App Stores immediately. This is our fastest and most affordable solution for cost conscious customers. ΛppWrapr is perfect for people who are completely happy with their current website and just want some of the advantages of having a mobile app, like the ability to send Push Notifications, allowing users to view content offline & more. ThinΛpp started out making simple mobile app shells (ie. App Wraprs), which quickly evolved into hybrid mobile apps - which quickly evolved into fully native mobile apps. 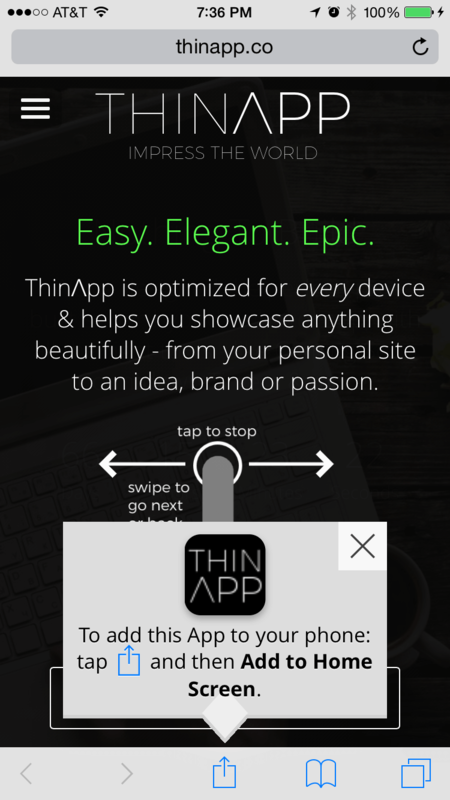 As such, we’ve branded our flagship mobile app solution as simply ThinΛpp. 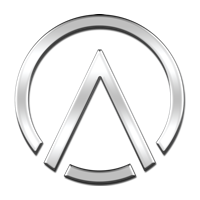 We’ve been providing custom Enterprise Solutions to businesses, companies, organizations, and more for over a decade, which ultimately led to the creation of ThinΛpp. We can work with you to analyze and understand your business needs and operations then create tools and solutions that leverage the latest mobile technology and impact your bottom line. Some of our most popular enterprise features are: Custom B2B & B2C Native Mobile Apps, Offline capable Web, Hybrid or Native Mobile Apps, SMS Texting & API, Push Notifications, real-time GPS (with background refresh), website based back-end Web Services API (to power your App’s content) and more. BΛSE is our Hybrid App and the original flagship, core product of our mobile solutions (because most mobile app companies won’t tell you how website (ie. web-server) dependent mobile app back-ends really are, so BΛSE powers the back-end of almost all of the mobile apps we make). BΛSE also allows us to start each new project with a $70k+ “base” foundation that is loaded with tons of pre-built features, which saves you valuable time and money because we don’t have to build any project from scratch. So basically, we’re already 80%+ done with almost every project before we even start. But, what really makes BΛSE special is that it comes with a fully pre-built front-end that is ready to customize, where as other platforms are mostly builders or frameworks made for more technically inclined developers. This allows us to get your App live faster than any company on earth. Plus, you also get the bonus of a built-in custom Website/Web App that does over 90% of what your App Store App does too. We can take any existing website and add functionality to turn it into a full screen mobile Web App with its own custom icon - and all without disrupting any of the existing website. Your users will conveniently be able to access your mobile website (or rather Web App) all from your App Icon. It has been widely reported that 90% of users cannot tell the difference between a Web App and Native App (the ones you download from the App Stores) once they are installed. Currently ThinΛpp is an excellent build-to-suit solution and even though we’ve gotten development time down quite significantly in the first year and can sometimes even customize a ThinΛpp in as little as 48 hours or less, most projects still will take about a week. So we’ve launched a Kickstarter Campaign to help us create ThinΛpp Liquid, a faster, more automated, more customizable version of ThinΛpp, which could allow the average person to customize their own ThinΛpp just moments after signing up. In addition, it would allow us to also offer ThinΛpp as a low monthly subscription or no-commitment (month-to-month) payment plan. 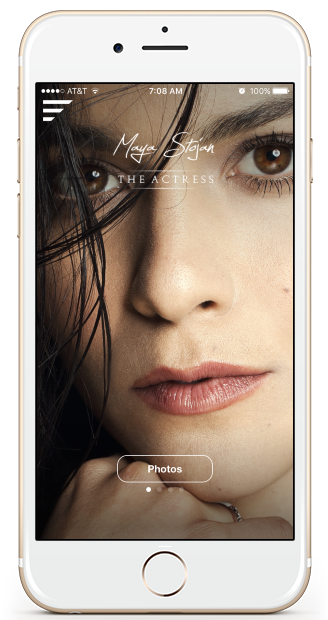 Just imagine - being able to have your own custom mobile app with over $50,000 in features for as little as $29.99 per month. Entrepreneurs, Small Businesses and people everywhere would be able to put more money into marketing and other aspects of their business or project, thereby increasing their likelihood for success. The world needs ThinΛpp Liquid, so please back us now on Kickstarter and help us give the world more affordable, high quality apps! Login » | Sign Up! | New Here? Get Any Website In The App Stores Easily (website optional). App Wraprs are pre-built mobile Apps (for Apple iOS & Android) that act as a sort of “shell” for any responsive website, allowing Users to download your App from the App Stores. We’ve thought of everything - from App Install Banners (Img 1) to Push Notification Managers & more. Any responsive (ie. mobile-friendly) website typically will look like Image 1. If your website isn’t responsive (ie. mobile-friendly; ie. a mobile website), then no worries, we can take care of that. However, if your website is mobile-friendly then we can do a quick (optional) upgrade/optimization to turn it into Image 2 (ie. a fully functioning Web App). Add small amount of cushion to your mobile website’s top header, so when your website is opened inside a mobile app, the phone’s battery info and time don’t run into your logo, etc. Make sure all your links stay inside of the Web App and App (ie. something most good developers don’t even know is possible). Make external links bust outside of the App (otherwise the user could get trapped with no way to get back). Note: We have some premium upgrades that give you your own custom browser (sort of like Facebook) where when your users open an external link, they can simply hit the X to close it and still be right on the same page in your App. And, last, but certainly not least - we make your mobile website - full screen! Meaning it'll take up the entire phone’s screen. Notice how in Image 1, there’s a top browser/URL bar - and a short-cut/bookmarks bar. All of these things take away from the immersive experience - not to mention valuable screen real estate when your users are using your website. The best part is the optimization process to your website (or mobile site) is super fast (usually about 30 minutes on average) and optional; And, the rest of the App Wrapr design, compile and submission process usually takes less than 24 hrs (depending on our current orders/load; and not including App Store Approval Times, which are about another 48 hours on average). Another interesting thing is - we don’t even need access to your website to wrap it IN an Λpp Wrapr. 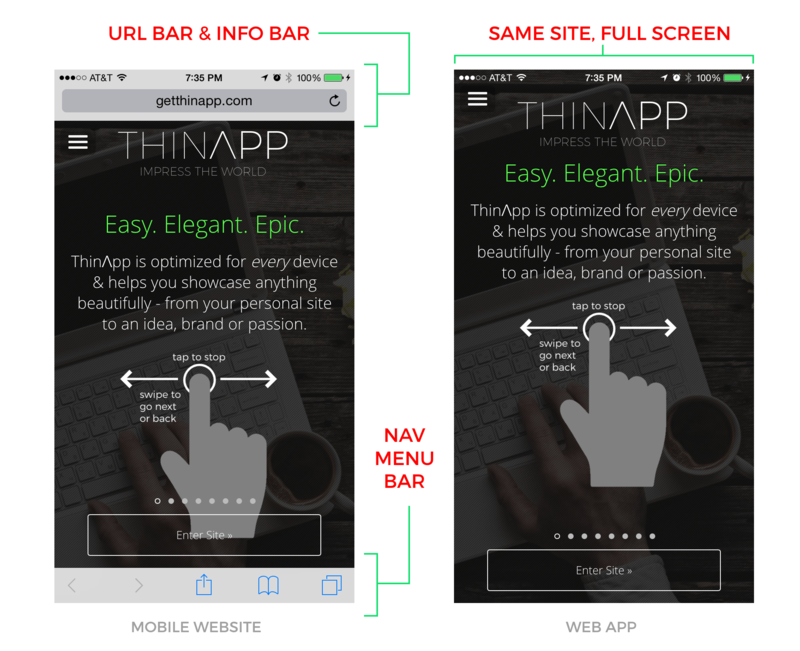 We just need to know the URL(s) of the pages you want to show inside your App. So if you have an existing web developer you can’t get in touch with - it doesn’t even matter! 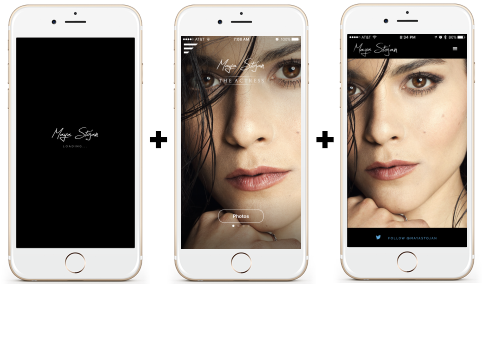 A 1 page App for both Apple iOS and Android, which contains a splash page/image, your logo, text, 1 custom link (or button; your choice) and allows people to "enter" your website/mobile website while still inside the App. It's full screen, fast loading, has a page loader spinner and caching. Note: You actually get 1 button + 2 links to 3 different pages within your website with both packages (re: Img 3). The Gallery page has a touch zoom feature to enlarge images - and a cool, flip animation to quickly scroll through all the images in their zoomed/enlarged state. Plus, we’ve also added some basic Content Pages (you can add any additional pages in this format; ie. image at top, text/content below) and a super sleek, fast scrollable Categories page that can have any background/button images, text and links you want. So, you can use these to link to various sections of your App, mobile-website, Blog, Shop, Portfolio, etc. 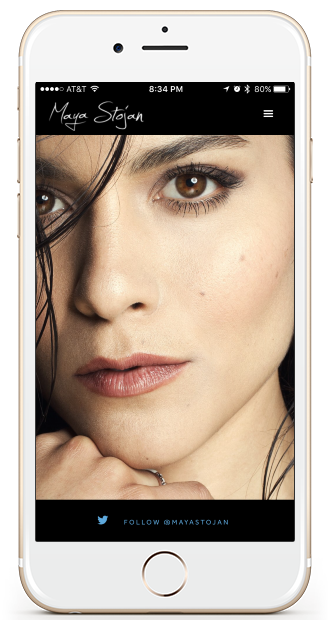 Any of the AppWraprs above can be customized to your needs - colors, fonts, order, background images, etc. 1/11/2017 - We are somewhere between Gen4-6 right now and growing so fast that we have not decided how to group every version beyond Gen2 yet and are handling those orders as custom orders. Most of our improvements have been performance related, like real-time editing (from a web based admin), etc. Please contact us for more info. If you’re a graphic designer or just someone who like more control, you’ll love our easy to use Online Design Manager (ODM). Our world-class Design Team are experts in mobile UI/UX & will bring your vision to life, then upload the designs to our ODM for your review. For those who just want to put some personal touches on your new App’s designs, but want us to handle the rest. We use the ODM to manage it all. If you’d like to test out our ThinΛpp Native App Wrapr (ie. Apple App Store App), enter your email below & we’ll send you an invite to install a Live Demo App. Want to test a live Demo? Allow us to remove any remaining doubt. Not only do we offer all kinds of flexible payment options & plans, but we also have a killer new service where you can pitch in (ala Kickstarter style) with others to get premium App features created ASAP - saving you thousands of dollars in custom, mobile App development! This is where a short description of your site can go. Buy this iPad for just 5,000 Points! We’ve designed a credits system where Users can purchase credits via Paypal to put money on account (ie. their funds balance) to use to make purchases (ie. products, services, etc.). Get daily updates on Bonus Review opportunities, Featured Projects, Rewards, etc. Get the lastest news & exclusive deals by joining our mailing list. Note: Lightbox has already been installed for your convenience - and can easily be used for many different ideas. Simply open the footer.tpl.php file, look for a code block titled CALL TO ACTION then add your own text or code. You can even easily change this background image. Our specially trained ThinΛpp Development Team can take care of any customizations for just $25/hr or any average website developer should be able to spend just a few minutes with the code and be able to jump right in. 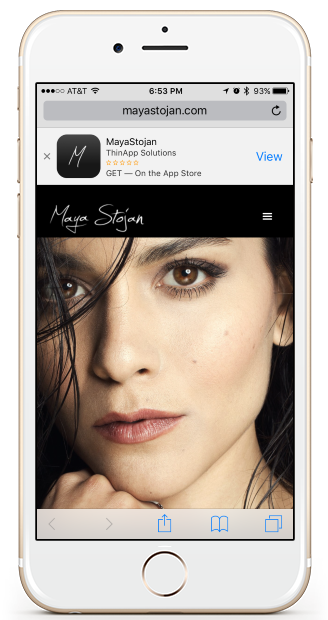 ThinΛpp BΛSE is a pre-built Hybrid (native app + web app) App platform that makes it easy and affordable to create a custom mobile App - for any business, passion, interest, website or idea. A Hybrid App (also referred to as an HTML5 App, Progressive Web App, Web App and Browser-based App) is one that is both web based (ie. a Web App built in the same coding languages that are used to create highly responsive and mobile-friendly websites) and “native” based (ie. built in coding languages like Apple’s X-Code/Swift or Google’s Android Studio, which were designed to exclusively build mobile applications for those respective devices). A Web App (which makes up most of a Hybrid App) is an app that looks and feels just like any “Mobile” App that you would download from the App Stores, except you don’t actually get/download them from the App Stores - instead you can add them (or rather their App Icon) to your device’s home screen - and then access it via its App Icon to use the App version. BΛSE is coded/built with the most popular web based languages and latest internet standards. This makes it more flexible, more affordable, faster to develop and more accessible than traditional “native” based Apps while still having the same look, feel and functionality of a Native App. And, yes, Apps made with BΛSE can also be downloaded from the App Store and Google Play (with the help of our ThinΛpp AppWrapr). As you can see above, the most noticeable difference (at first glance) between a typical Mobile Website and a Web App is that Web Apps are fullscreen (just like Native Apps). Note: You don’t have to download Web Apps - you “install” them (see the section on App Icons below for more on that). What makes ThinΛpp BΛSE so unique is that while the giants like Apple and Google battle for App dominance, we’ve made a product that is not platform/device specific - and works on everything - and is way more affordable, easy to make - and easier to understand. Google’s announcement simply proves that there is an increasing interest in creating Apps that do not need to be downloaded. However, ThinΛpp does have an App Wrapr version, which allows it to be downloaded from the App Store and Google Play. The next thing we wanted to tackle was making it easy to access a Web App. Most people don’t even know Web Apps have their own App Icons, just like Native Apps. In fact, once it’s on your phone’s homescreen there’s no way to even tell the difference. Image on left - This was previously the only known way to prompt a User to add a Web App’s Icon to your phone’s homescreen. Image on right - BΛSE also has a custom full screen prompt that only appears if you are not in the Web App and automatically pulls your App Icon. Note: Apple has not yet created a method for conveniently linking to a Web App (or Web App Icon) directly or starting the Add To Homescreen function from a link, however Google has recently made it possible for Android devices (and we’ll soon be adding this to BΛSE). Up until recently there wasn’t even much support by Apple, Google and Microsoft for mobile browser based features that contribute to the web app experience (ie the browser on your cell phone). In fact, the evolution of the mobile browsers themselves had been fairly slow up until the middle of 2015. This could possibly be because Apple, Google and Microsoft’s focuses were all respectively elsewhere. However, we, and a small movement of developers around the world, however have been eagerly tracking the progress of this technology with each new device (and mobile operating system) release...slowly improving until things finally arrived to a point where we felt the technology was good enough to present a really valuable solution/product. So we can go on and on - and there is a LOT more, but it would probably be better if you just test the live demo (close this window and the button is under the phone slider). And, to summarize - We drew from 20 years of making websites (including some of the top, most innovative websites in the world), 50+ years of combined web development, internet/online, UI/UX design and internet marketing experience and a large amount of obsessive determination to create a custom coded, hand crafted product that is so complete it can be used out of the box or quickly adapted to practically any idea - thus making ThinΛpp BΛSE the most powerful, flexible website (and App) platform in the world. Note: We opted not to tackle accelerometer, gyroscope, motion graphics, etc (ie. things commonly used in exercise and gaming Apps) as those don't make up the bulk of the Apps that are actually out there. However, with our new AppWrapr line all of those native features have or are currently being built in also! This gives you the best of both worlds. We can put your BΛSE App(s) in the App Store(s) - and under our Developer Licenses, saving you another $99+. We have testing, deployment, hosting, backups, security and pretty much everything you need - down to a science. Close this screen and scroll to the bottom of the Overview page to enter your email to receive	an invite to test our live App Wrapr out, which is also how we’ll let you test your Native App(s) out before they are submitted and deployed (ie. made live). Note: Screenshots will be posted here shortly and we should have a couple of live Apps in the various App Stores within the next few weeks. So when you become a ThinΛpp Owner - you're getting a $70,000+ App/Website for about $499 + how much ever you decide to add/spend in exclusive customizations. There's currently no value like this in the world. Note: The $499 is essentially our "license" fee for doing all this work upfront and ahead of time - and it helps us continue to improve the ThinΛpp Platform, as well as support it. We think it's a very small fee to ask. We're basically taking all the guess work out of the entire process and giving people what they need vs what they can afford to pay for. ThinΛpp is comprised of several different powerful technology solutions, which you can purchase seperately or as a combined solution. 1. ThinΛpp Platform - The Web App is our flagship solution/product (and is also a fully responsive website). 3. ThinΛpp Offline Platform - We’ve figured out how to make Web Apps and Native Apps that function completely offline (ie. without an internet connection). 4. 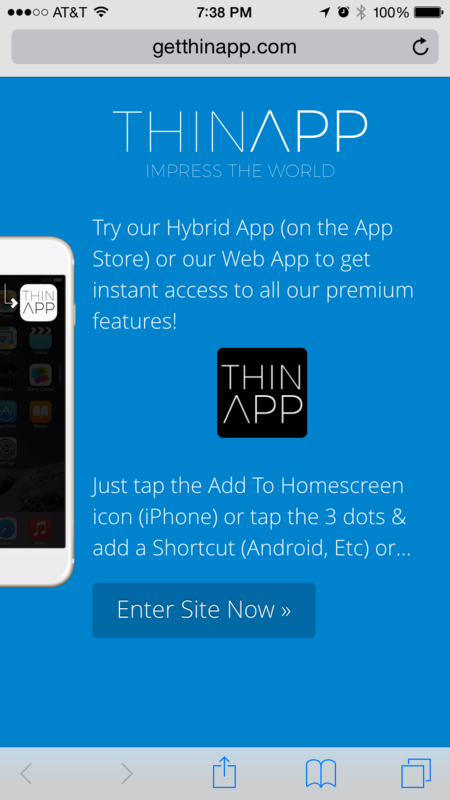 ThinΛpp Hybrid App - this is (1 + 2 above) or (1 + 2 + 3 above) combined. 1 + 2 is our most popular solution/product. Note: Close this window and enter your email at the bottom of the page to receive an invite to access and install the Native App Wrapr on your phone for live testing (note: within a couple of weeks we’ll have a live demo App in the App Stores for testing also). The original goal of ΛppWrapr was to make a way for people who had awesome mobile sites to get them into the App Store(s), without having to spend a ton of money again just to have their website re-created as an App. In the quest to achieve this goal, we ended up developing the most advanced Web App technology in the world. (Note: read below to learn more about Web Apps). And, for a short time, we even contemplated trying to challenge the dominance of “Native” Apps with our Web App technology. However, after careful consideration of mostly not wanting to get squashed like a bug by either Apple or Google (or both) - and realizing the true value of Native Apps vs Web Apps, we decided to take a different approach. We realized that maybe Native Apps weren’t so bad afterall - and that, if we somehow took the best of both worlds, Native and Web, we could create an incredibly valuable solution. So, that’s what we did! We merged Native and Web App technology to create a new kind of custom, hybrid app - and on top of that, we improved the process of making and submitting Apps - BIG time. Our approach allows customers to save tons of money and time. Not only that, but our Apps are much easier and inexpensive to maintain and update. Simply, put we’ve created a smarter way of making Apps. Note: This approach below is optional and mostly meant to help pull/display important pages from your website inside your App (that you may not want to pay to fully re-create as an App feature). We also now have the ability to create fully native, mobile app content pages (ie. without the need for using any of your website pages!). 1) Add some cushion to your top header, so when your website is opened inside a mobile app, the phone’s battery info and time don’t run into your logo, etc. 2) Make sure all your links stay inside of the Web App and App (ie. something most good developers don’t even know is possible). 3) Make external links bust outside of the App (otherwise the user could get trapped with no way to get back). Note: We have some premium upgrades that give you your own custom browser (sort of like Facebook) where when your users open an external link, they can simply hit the X to close it and still be right on the same page in your App. 4. And, last, but certainly not least - we make your mobile website - full screen! Meaning it'll take up the entire phone’s screen. Notice how in Image 1, there’s a top browser/URL bar - and a short-cut/bookmarks bar. All of these things take away from the immersive experience - not to mention valuable screen real estate when your users are using your website.